We are delighted to welcome couples from our local community and from all over the country who wish to begin their married life in a ceremony at Jesus Church. The day of your Wedding will be one of the most important days of your life. We will do all we can to ensure that it is a most happy occasion and that all the arrangements for the ceremony run smoothly. We hope that the information given here will answer many of your questions. a. Living within the parish boundary of Jesus Church and St. Mary’s, or if you are non-resident, be a regular worshipper here, and have your name recorded on the Church Electoral Roll. c. If you are resident in the parish and either of you has been divorced it is sometimes possible to conduct a Marriage Service in Church. However, please be aware that such permission is not granted automatically and this would involve a considerable period of thought and reflection to discern whether it would be appropriate. A Service of Prayer and Dedication following a Civil Marriage may otherwise be arranged. Please speak with the Vicar. This public announcement of your intention to marry is made in the Church of England Parishes in which each of you live on three Sundays in succession, not more than three months before the Wedding Day. You will be notified of the dates on which your Banns will be read at St Mary's or Jesus Church. If one of you is resident outside this Parish, you are responsible for contacting your Parish Church to arrange for Banns to be published there. 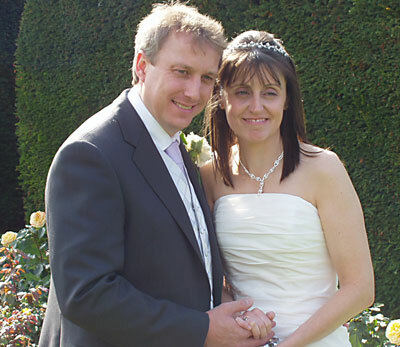 You need to remember to obtain from there a Banns Certificate, which is necessary for the marriage ceremony to proceed. If you choose to marry by any means other than Banns of Marriage you will be responsible for liaising with the Registrar in Kendal and all other appropriate authorities. We strongly advise you not to make any arrangement or bookings, especially if they involve printers or caterers, before you have made quite sure that the service can take place on the day and time of your choice. Please consult us first! 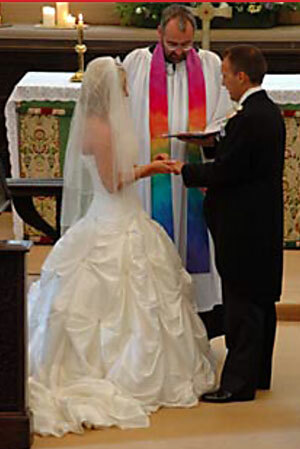 Most couples wish their ceremony to include music – organ music before and after the service, and two or three hymns. At Jesus Church our hymn book is 'Hymns Ancient and Modern Revised', and at St Mary’s 'Anglican Hymns Old & New' which include a wide range of suitable and well-known hymns. Others may, of course, be considered. For your guidance, a list of hymns will be made available. If you wish for any special music to be played or sung, or have questions about music for your wedding service our Organist is happy to meet you. If you wish to order specially printed service sheets for the ceremony, please make sure that you check the hymns, the wording and layout with the Vicar – before giving the printers definite instructions. Please ensure you print enough copies for all the guests (including friends and neighbours who might come to the service even if they are not invited to the reception). Please note that although we shall seek to adhere to your wishes, the final decision in respect of the contents of the service (music, hymns, readings, prayers etc) lies with the Vicar. There are generally flowers in Church throughout the year, except during Lent (the six weeks leading up to Easter) and Advent. You are welcome to bring further displays into church. These must remain in church following the ceremony. Our church florist will be happy to talk with you about any special request you may have. A separate Table of Fees will be provided. A non-returnable deposit of £50 is payable at the time of booking. The remaining fees for your Wedding should be paid at the rehearsal prior to the ceremony. When you discuss your wishes with your Photographer please inform them that no photographs may be taken during the ceremony other than during the Signing of the Registers. Your Marriage Ceremony will be an act of worship and it is important that there should be nothing to distract any of those present from joining in reverently and fully. 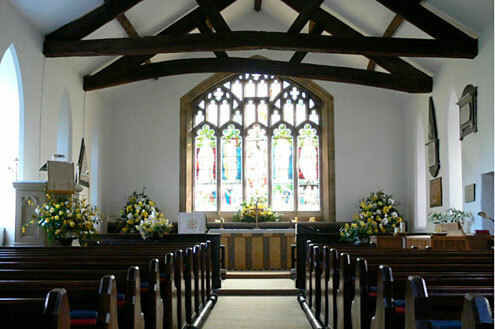 In the event of wet weather on the day of the wedding, we shall be happy to allow photographs to be taken in Church after the service, when this is convenient. Video Recording of the Service may be permitted under certain circumstances. A charge is payable and an application form must be completed. Please ask for details. 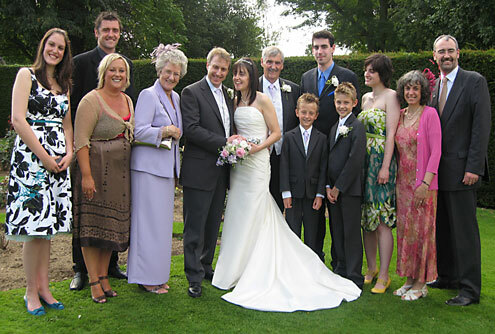 To welcome your guests to church it can help to nominate two friends of the Bride and Groom to act as Ushers. Their task is to give out Hymn Books/Service Sheets and deal with any last minute concerns. Those whom you choose for this task should be at the Church at least half an hour before the service begins. Please think carefully before asking young children under seven years of age to be bridesmaids or pageboys. They look wonderful but the experience often proves too much for those who are not adequately supported by having their parents and other caring adults on hand at all times. Their participation will be at the Vicar’s discretion. We should like to assure you of a particularly warm welcome at our Sunday Worship. Our main Sunday service at Jesus Church is 9.30 am and 11.00 am at St Mary’s where you will have the opportunity to become part of the Christian family and learn more about the Love of God. To help you prepare fully for your marriage and your life together we shall hold a Preparation Day for you to attend. Full details will be sent to you after you have made your booking. The Vicar, the Revd David Wilmot, will be happy to answer any questions you may have. ...Or call at Church any Sunday morning. The clergy and congregations of our churches want to make your wedding day a very happy and meaningful start to your new life. Some thinking before our meeting will help us to make best use of our time. • For the reading of Banns you will need to know the name of the Anglican Parish where each of you live (your local Parish Church). • If you are applying for a Superintendent Registrar`s Certificate please ensure that you have been in contact with the Registrar and that you know what they expect of you. • The date, time and church for your wedding will be finalised. • We shall confirm your personal details to be written in the Marriage Registers. • Full details concerning fees will be discussed. • Hymns will be chosen (usually three) and any special music to be used during the ceremony. • Has the best man been chosen? • How many bridesmaids and/or pageboys will there be? • Will one ring or two rings be used? • Do you wish to provide all your own flowers and then leave them in church or accept the flowers already in church. • Please discuss with your photographer specific details of photographs to be taken. We do not encourage photographs during the ceremony but the photographer will be invited to record the signing of the Registers. • Do you plan to video the ceremony? A completed permission form and fee are required. • Two adults will be needed to sign the Registers as official witnesses. • Are you planning to print an Order of Service? • What part of the bible would you like reading at your wedding? • We need to establish a date for a rehearsal in church close to the day of your wedding (but only you and the Minister need to be present). There will no doubt be other details you wish to clarify, so do not be afraid to add them to the list. The more thinking you do together before our meeting, the more time we will be able to give to the meaning of the ceremony and the new life you are beginning.